Google has begun rolling out Android Pay across Singapore, marking the mobile payment service’s debut in Asia. It will work with MasterCard and Visa cards from DBS Bank, OCBC Bank, POSB Bank, Standard Chartered Bank and UOB. “You can add multiple cards (there’s no limit to how many cards you can add) and select which card to charge the amount to, so you can always enjoy the best deals available,” Pali Bhat, the company’s senior director of product management, writes in a blog post. “Android Pay also stores your gift cards, loyalty cards and special offers right on your phone,” Bhat continues. “You’ll no longer need to worry about leaving them at home, plus you’ll get special offers as an Android Pay user. “We are also working closely with leading loyalty programmes such as NTUC Link Plus! Rewards Programme and CapitaLand’s Capitastar. Users will be able to earn reward points and enjoy special offers across multiple retail outlets soon with just a tap. Android Pay will also let you breeze through checkout when you shop in your favourite mobile apps. Android Pay was unveiled during the Google I/O keynote in May 2015 and was launched across the US in September 2015. The service made its UK debut in May 2016 after Google’s Spencer Spinnell hinted that a European launch of the mobile payment service was imminent earlier this year at Money20/20 Europe. 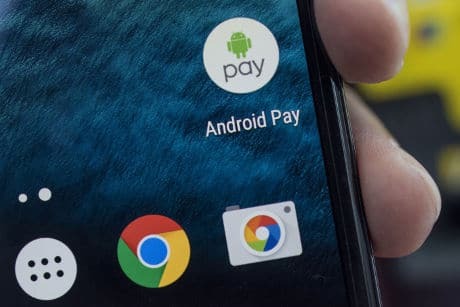 Android Pay is expected to launch in Australia in the first half of this year, with Australian banks ANZ and Westpac reportedly readying support for the mobile payment service in the country.